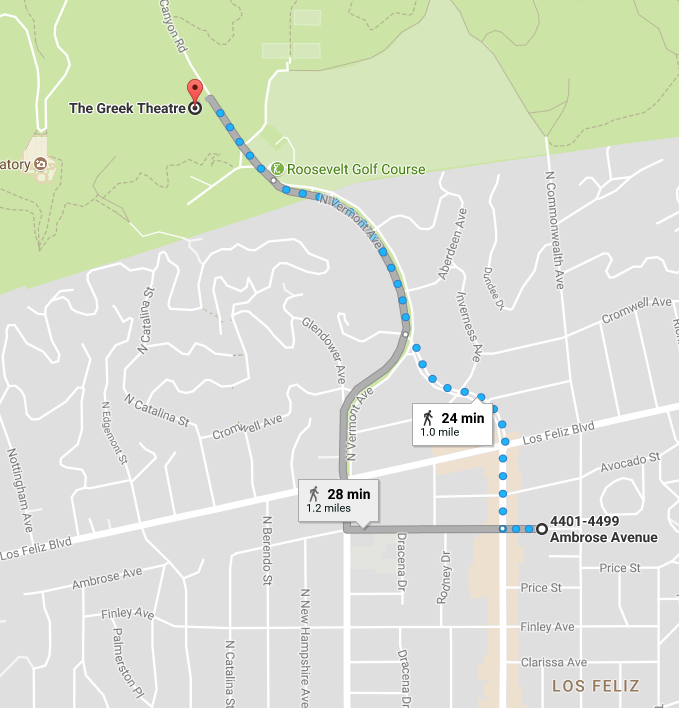 According to the Greek Theatre's website, there is ample venue parking ranging in price from $20-$75 and you can park farther away and take a $10 "pony shuttle" which unfortunately is actually a bus shuttle, not ponies. Apparently if you drive a Mercedes Benz you can choose from 15 reserved spots, but still have to pay $35-$40 to park and you must be driving such Mercedes Benz the night of the event. Main draw of the Greek's parking is ease when entering the venue. Getting out of the venue is a different story. 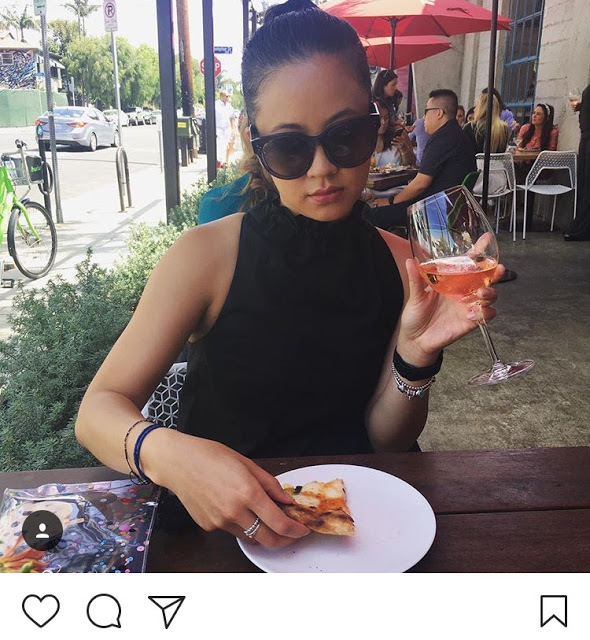 This is LA though, so a lot of people do these things. A better option? Park in the free, unmetered spots in the neighborhood around Los Feliz and walk up to the Greek. Sure, you have to get there around 30 minutes before the show starts, and you will sweat off any and all makeup you might have put on to look nice for the show, but you don't have to pay for parking! And in LA, that is a big win. But wait, you may think, why don't I just park in the free spots, and then take a Lyft/Uber up to the theater? Sure. That's actually a good idea, and you can avoid a lot of sweat that way. The Greek has a designated drop-off spot for rideshare apps across the street from the venue entrance. There is likely going to be traffic on the way up though, and you definitely won't be able to casually pick up a lyft/uber on the way out of the venue, so it's probably better to just figure out how/where to walk before you even get there. 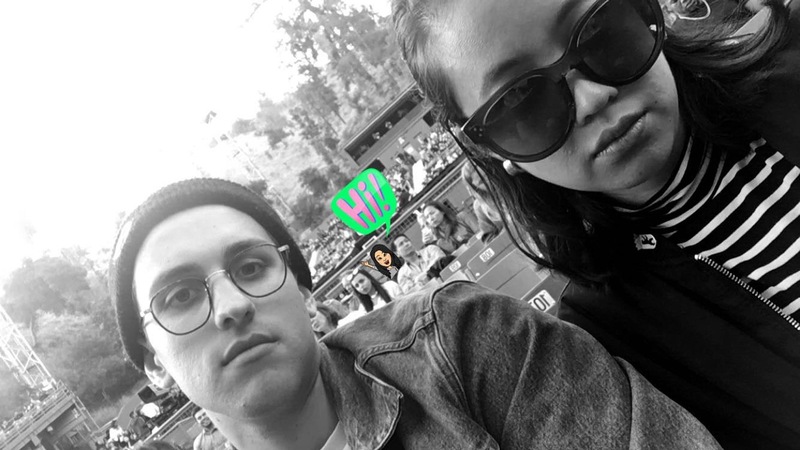 Last night, it took 2 hours to get to Los Feliz from the westside, and taking an extra 20 minutes to walk up the hill did not sound fun, but we did it. I'm not sure that I would recommend doing this when it is already dark outside (aka after 7pm in autumn) because the streets are not well lit and the terrain is uneven due to large tree roots. It wasn't bad though, and we got up the hill in less than 20 minutes, and since it was dark I wasn't even that sweaty! 10/10 would still recommend. Plus, after the concert, when all these cars are in a jam trying to get down a hill and you can just walk around them, it's a good feeling.